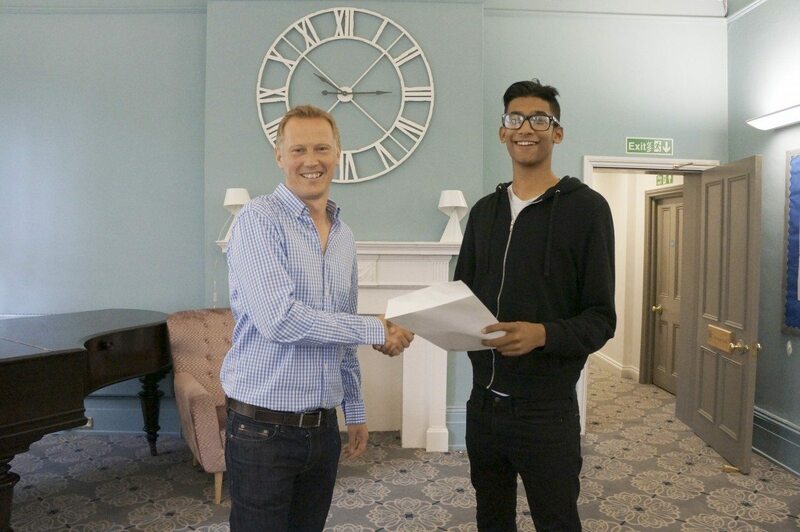 Less than twelve months after opening, North Bridge House Senior School & Sixth Form Canonbury is delighted to have seen some impressive achievements in its AS exam results today with over 70% of pupils gaining at least a grade higher than predicted after GCSE*. After the School’s recent ‘Outstanding’ Oftsed report, these AS results evidence Ofsted’s observation that: ‘Students make significant progress from their starting points’. North Bridge House Canonbury’s AS results show considerable added value across the Year 12 cohort’s academic performance, with the number of A-B grades comfortably exceeding ALIS predictions. Students did especially well in Mathematics where 5 out of 6 achieved a coveted A or B grade. One particularly pleased student was Hizzer Ramzan. Achieving A-grades in Economics, Maths and Geography, Hizzer is firmly on track towards his ambitions of studying Economics at university and going onto a career in Banking.